These General Terms of Business are, unless agreed differently, are applicable to all proposals and contracts of or with AMA coaching and all activities connected to this, both of preperatory and executive nature. The terms in question are also applicable to all agreements with service provider, for the execution where third parties have to be involved. AMA coaching is an independently operating practice for personal, carreer, management and strategy coaching. b. Client: the opposite party of the service provider, being the client or the client’s employer. c. Agreement: a verbal or written contract between client and service provider concerning an agreed service. a. Service provider will execute the agreement to best insight and ability and in accordance with the demands of good skills; does not have a result obligation. b. Client has an obligation of best intents and commitment towards the service provider, does not have a result obligation. c. If and where a good execution of the agreement demands this, the service provider has the right to delegate the execution of certain activities by third parties. This will always be in consultation with the client. d. The client ensures that all data, of which the service provider indicates these to be necessary or of which the client ought to reasonably understand that these are necessary for the execution of the agreement, are supplied to the service provider in a timely manner. If the data required for the execution of the agreement is not supplied to the service provider in a timely manner, the service provider has the right to postpone the agreement and/or charge extra costs resulting from the delay to the client, according to customary fees. e. Service provider is not liable for damage, of whichever form, as a result of the service provider presuming incorrect or incomplete data, unless the incorrect or incomplete nature of the data were known to the service provider. a. All proposals and offers from or on behalf of the service provider are without engagement, for as far as rate, content and delivery time concern and expire after 30 days. b. The rates in proposals are excluding VAT (19%), unless indicated differently. c. Proposals are based on the information available to the service provider. d. A contract or agreement wil be achieved at the moment that the signed for approval agreement or contract has been received and accepted by the service provider. e. Activities for wich no definite rate has been agreed upon, will be charged to the client based on a subsequent calculation against agreed rated. If no rates have been agreed upon, then the rates will be determined by the usual rating of the service provider. f. In case of lengthy coaching paths, the service provider reserves the right to effectuate rate adjustments annually, based on the general priceindex and eventual relevant government measures. a. In general payment needs to occur via banktransfer. b. Invoices should be paid, inclusive VAT, within 14 days after the invoice date on the bankaccount appointed by the service provider. c. In case of late payment the client is legally in negligent omission and is, also without a formal notice for that, indebted for a late payment interest which is equal to the valid legal interest. If service provider puts the debt up for collection, client is indebted for all legal and non legal costs resulting from the collection. d. Client must make any objections against the invoice known to the service provider within 14 days after the invoice date, failing that the client is supposed to have agreed with the height of the invoice amount. Submitting an objectin does not postpone the payment obligation of the client. e. In case of a face to face coaching session, the payment can also be done in cash at the time of the session. a. The agreement is entered for indefinite duration unless parties explicit and in writing agree differently. b. When the duration of an agreement is determined previously, this is being done in the proposal and after acceptance of this by the service provider. Early conclusion can only take place if parties have ageed on this in consultation with each other. c. If it appears during the execution of the agreement that it is required to, for a proper execution, change or add to the activities to be done, parties will timely and in consultation change the agreement accordlingly. d. If change of or addition to the agreement will have financial or qualitative consequences, of influences time of completion, service provider will inform client of this as soon as possible. e. Service provider has the right to immediately end the agreement, without formal notice or judicial intervention if client has appeared not to be able to fulfill the financial obligations within the agreed term. a. Service provider reserves the right to cancel or move appointments free of charge in case of illness, inability to work, death or severe illness of family or beloved, as a result of which service provider cannot execute the task properly. b. Upon cancelling individual or team coaching sessions/activities by client within 24 hours of the start of the session/activity,100 % of the fee will be charged at to the client. Within 48 to 24 hours before scheduled start of the session/activity, 50 % of the fee will be charged to the client. Within 96 to 48 hours before scheduled start of the session/activity, 25 % of the fee will be charged to the client. a. In these General Terms of Business, the term cause outside one’s control means, apart from what it meant with this term by law and jurisdiction, all external causes, foreseen or not foreseen, on which service provider has no influence, yet though which service provider is ubable to follow the obligations. b. Service provider has the right to appeal to cause outside one’s control, if the circumstance that prevents (further) following, starts after service provider has started with the execution of the agreement. c. During cause outside one’s control the obligations of service provider are being postponed. If the period in which cause outside one’s control prevents service provider to follow obligatins takes longer than 2 months both parties are autorised to resolve the agreement without in this case an obligation to pay a compensation for damages. d. In case service provider at the start of the cause outside one’s control has already partially delivered her obligations, of can only party deliver het obligations, she is entitled to invoice the already delivered part seperately and client is obligated to settle this invoice as if it were a seperate agreement. This however does nog pply if the already executed part has no independent value. a. Both parties are obligated to confidentiality of all confidential information that they have obtained on the basis of the agreement from each other or another source. Information is considered to be confidential if this have been indicated by the other party or if this is the result of the nature of the information. All conversations and contacts are threater in accorance with the highest confidentiality standards. Nothing that is spoken about in the conversation/contact is menat to be communicated outside of this context without permission of service provider and client. b. In case of a imminent danger for both client and the society or certain persons, service provider reserves the right to issue relevant information to qualified persons or organisations if danger can be prevented by this. As a person, residing under the Dutch law, is is the duty of service provider to report acticities, which are in violation with the law, to the relevant authorities. Consequently service provider cannot be addressed if she reports illegal matters to the sponsor of the client or to the legal authorities. dissolving the agreement on the bases of any damage, originating from this. d. On all communication means, like email, mail, fax, voicemail and other means the confidentiality principle is applicable. Unless previously deviating agreements have been made, only service provider and client are the ones who get to see the communication via these media. Parties need to be aware that a numer of media are being ran by third parties, therefore these media cannot be considered to be fully confindential. e. In cases whereby the originator is not the coachee or client, the confidentiality principle and secrecy with regards to exchanged information and conversations/contacts between service provider and client also applies towards the originator, with the exception of situations where, in consultation with the coachee and originator, it is agreed to inform the originator in toplines. a. Service provider is never liable for direct damage or indirect damage, emotional damage or damage resulting from decisions the client has taken, … in consultation with the service provider. b. Client is at all times fully responsible for choices made, own behaviour, and the consequences of this, both during the time that client and service provider pass together and thereafter. a. All items supply or leant out by service provider, including tests, cards, games, sketches, books, software, drawings, exercises, questionnaire etc, remain (intellectual) property or ownership of service provider, are exclusively meant to be used by client and may not without previous approval of service provider be copied, made public or known to thirds. b. Client is not autorised to pawn or encumber the items that fall under the restriction of ownership. c. If thirds seize delivered items that fall under the restriction of ownership or establish or apply rights on them, client is obligated to inform service provider of this as soon as can be reasonably expected. d. Client is obligated to take optimal care of the items delivered that fall under the restriction of ownership and to return these to service provider in optimally useful condition. In case of damage inflicted by client, service provider will redress this on client. Applicable is always the version that applied at the time of the coming together of the concerning agreement. b. Supplying as a enclosure with and being part of proposals and agreements/contracts. failure the price, data or other information of services is reproduced incorrectly on the communication expressions of AMA coaching. AMA coaching is not bound to the execution of the assignment against the incorrectly reproduced price or conditions. AMA coaching is not responsible for damage that, directly or indirectly, is the consequence of incorrectness and/of incompleteness of the content of this website. All agreements between between service provider and client, recorded in writing, which deviate from these terms, prevail these General Terms of Business. The total contents of all communication expressions of AMA coaching, among which the website, is owned by AMA coaching and may not be used or copied by others, without written permission by AMA coaching. Deze Algemene Voorwaarden zijn, tenzij anders is overeengekomen, van toepassing op alle offertes en overeenkomsten van of met AMA coaching en alle daarmee verband houdende handelingen, zowel van voorbereidende als uitvoerende aard. De onderhavige voorwaarden zijn eveneens van toepassing op alle overeenkomsten met opdrachtnemer, voor de uitvoering waarvan derden dienen te worden betrokken. AMA coaching is een zelfstandig en onafhankelijk werkend bureau voor personal, loopbaan, management en strategie coaching. a. Opdrachtnemer: AMA coaching/Joke Kok, die deze algemene voorwaarden gebruikt voor het aanbieden van diensten. c. Overeenkomst: een mondeling danwel schriftelijk contract tussen opdrachtgever en opdrachtnemer betreffende een overeengekomen dienstverlening. a. Opdrachtnemer zal de overeenkomst naar beste inzicht en vermogen en in overeenstemming met de eisen van goed vakmanschap uitvoeren; heeft geen resultaatverplichting. a. Alle offertes en prijsopgaven door of vanwege opdrachtnemer gedaan zijn vrijblijvend, zowel wat tarief, inhoud als levertijd betreft en vervallen na 30 dagen. b. De tarieven in de genoemde offertes zijn exclusief BTW (19 %), tenzij anders aangegeven. e. Werkzaamheden waarvoor geen vast tarief is overeengekomen, zullen op basis van nacalculatie en tegen de overeengekomen tarieven aan opdrachtgever in rekening worden gebracht. Zijn vooraf geen tarieven overeengekomen, dan worden de tarieven bepaald op grond van de bij opdrachtnemer gebruikelijke tarifering. f. In geval van langdurige coachingstrajecten, behoudt opdrachtnemer zich het recht voor om jaarlijks een tariefaanpassing te effectueren, gebaseerd op de algemene prijsindex en eventuele relevante overheidmaatregelen. a. Betaling dient in het algemeen te geschieden per bankoverschrijving. b. Facturen dienen uiterlijk 14 dagen na factuurdatum te zijn voldaan inclusief BTW en op de door opdrachtnemer aan te wijzen bankrekening. d. Opdrachtgever dient eventuele bezwaren tegen de factuur van opdrachtnemer binnen twee weken na factuurdatum aan opdrachtnemer schriftelijk kenbaar te maken, bij gebreke waarvan opdrachtgever geacht wordt te hebben ingestemd met de hoogte van het factuurbedrag. Het indienen van een bezwaar schort de betalingsverplichting van de opdrachtgever niet op. e. In geval van een persoonlijk coachingsgesprek kan betaling ook, op het tijdstip van het gesprek, contant plaatsvinden. b. Bij afzeggingen van individuele advies- en coachingsgesprekken door opdrachtgever binnen 24 uur voor aanvang van een gesprek, wordt 100% van de gesprekskosten in rekening gebracht bij de opdrachtgever. Van 48 uur tot 24 uur voor aanvang van het gesprek, wordt 50% van de gesprekskosten in rekening gebracht. Van 96 uur tot 48 uur wordt 25 % van de gesprekskosten in rekening gebracht. e. In die gevallen waarbij de opdrachtgever niet de gecoachte of de cliënt is, geldt het confidentialiteitsprincipe en geheimhouding ten aanzien van alle uitgewisselde informatie en gesprekken die plaatsvinden tussen opdrachtnemer en cliënt ook richting opdrachtgever, behalve als, in overleg met cliënt en opdrachtgever, is afgesproken in hoofdlijnen informatie aan de opdrachtgever te verschaffen. AMA coaching is niet verantwoordelijk voor druk-, zet- of typefouten of als door (technische) storingen de prijs, data of andere informatie van diensten verkeerd is weergegeven op de communicatieuitingen van AMA coaching. AMA coaching is niet gebonden aan het uitvoeren van de opdracht tegen de verkeerd weergegeven prijs of voorwaarden. AMA coaching is niet aansprakelijk voor schade die, direct of indirect, het gevolg is van onjuistheden en/of onvolledigheden in de inhoud van deze website. Alle schriftelijk vastgelegde afspraken tussen opdrachtnemer en opdrachtgever welke afwijken van deze voorwaarden, gaan vòòr op deze algemene voorwaarden. De totale inhoud van alle communicatieuitingen van AMA coaching, waaronder de website, is eigendom van AMA coaching en mag niet zonder schriftelijke toestemming van AMA coaching worden gebruikt of gekopieerd door anderen. If you have any questions, please send an e-mail or use the following contact form. – leadership with accountability, Master Connections Associates, U.S.A. This AMA coaching blog is a page where I will regularly post information, tips, stories and things to think about. Let your mind run free on this page, I hope that it’s content will inspire you. When to persist and when to let go? To answer this question it is important to look at the influenceability of things. Steven R Covey speaks of the circle of concern and the circle of influence (see image). In the outer circle are all things that cannot influence or change, such as happenings in the world, our upbringing, origin and the past. Worrying does not change these situations and therefore you could let go of them. In the inner circle lies everything that we can influence and change, including your own reaction on (non) influenceable things. A simple yet good model to put your concern and actions in perspective. The ability to change determines the success of an organization. According to Dr. Ben Tiggelaar, independent researcher, writer and trainer, leading behavioral change is the key factor in change management. People overestimate the ability to change one’s own behavior. How difficult is it to stop smoking? Therefore managers should have more knowledge on the forgotten specialism: change psychology. What happens in our head when we change, how does our brain operate when we learn or do new things, which external elements influence our brain? These insights can be valuable change management tools for a manager. Do you take time to think? We are often so occupied with our daily tasks that we just keep going an do not take the time for reflection or open thinking. Yet 15 minutes of open thinking time can bring us a lot, like perspective, inspiration, connection, new insights, ideas, solutions… So find that moment of silence and add some time to think to your schedule. The more you approach the core of this model, the less you can change a person. “Developing personality characteristics is possible, but takes a lot of time and effort. The natural talent is more and more acknowledged as basic material for motivation, ambition, competence and performance.”, acccording to Lidewey van der Sluis. Do you think in obstacles and fears or in opportunities and possibilities? Obstacle thinking restrains, blocks and takes away the vision on opportunities. Consequently, steps for improvement, growth and innovation are missed. Take a different approach and start thinking in opportunities and possibilities. The next step is then ‘opportunity doing’, really grabbing the chance. Inspiring book by Rob Adams, strategic innovator/author. It’s called “Be unfaithful!” (Ga vreemd!, Dutch) and is about distinguishing your company from it’s competitors by out-of-the-branche innovation. An example of this is the creation of the roll-on deodorant based on the imitation of the ballpoint system. Original angle for strategic brainstorms. Networking is important. Obama networked very successfully during his campaign by, through internet, mobilising an enormous amount of people who did face to face promotion for him. In a research of Boer & Croon 92 % of the 118 companies interviewed said that network management is essential for the future success of your company. They raise efficiency, flexibility, quality and innovation through networking with their clients and suppliers. Networking works for organisational development, strategic alliances, knowledge, sales/marketing, recruitment, finding a job and social contact. Yet many state not to network (optimally). use a variety of means, face to face contact, social media, referrals by others, events etc. The trend “new way of working” stands for flexible working. Employees having more freedom to decide on their working hours, duration and location and employers having a flexible approach towards staff and available means. Where and when do you get most of your best ideas? Everyone has his/her preferred situation in which creativity and ideas spontaneously arise. Some get them at night when it’s quiet, others during a hike in the storm of during a traffic jam. Use these thoughts and facilitate yourself at that moment. Arrange a note pad next to your bed, in you windbreaker or a voice recorder in your car. This parking of ideas brings you peace of mind and space for the things that you intended to do (sleep, relax, drive your car). It makes sure that you don’t have to search for the ideas when they are difficult to find, but that you already have them and that they are of good quality. An interactive coaching path brings you many results. It will bring improvement to various aspects of your life, which will benefit you long term. It also asks you for your time and effort. The larger your commitment and effort, the faster and better the result. Besides the time investment of the coaching sessions, you can count on needed time for personal activities, such as assignments, research etc. If you want more information on the possibilities and rates, please contact AMA coaching, see details on contact page of this site. The General Terms of Business that are applicable to all AMA coaching services, can be found here. When to choose for career coaching? • What is my dream job and how do I realise it? • How do I give my career the right form and direction? • How do I get more professional challenge, diversity and connection? • What are my qualities, competencies and development areas? • How to prevent or reduce work related stress and insecurity? • How to build, maintain, improve and use a good network? • How can I present myself during work or application? • What can I do to impress and influence? Work is important, you invest a lot of time in it and want to get satisfaction and fun out of it. Yet many people do not find their job satisfactory, which can cause mental or physical complaints. Career coaching is an individual coaching path that will help you to find out which type of work and environment suit your qualities and passions. To then make and carry out a plan of actions to make your wishes come true. Career coaching is for anyone who wants a new impulse in their professional life. For whom has gotten stuck by too many choices, obstacles and complex situations and can use a sparring partner in this. Someone who wants satisfaction and development in (professional) life and may want to shift borders. Together we will explore your wishes, motivations, qualities, passion, development areas, options and the labour market. For this I enter a conversation with you, we analyse and do exercises, questionnaires and tests. We also look at your obstacles and how to deal with them. If we have gained all information needed and the answers to your coaching questions, we make a concrete plan, by which you gradually shape your new professional course. AMA coaching is a practice for personal, career, management and strategy coaching. Both companies and individuals can benefit from AMA coaching’s face to face, e-mail and telephone coaching activities. AMA coaching offers individual and team coaching in the English and Dutch language. Do you want to change or enhance your personal or professional situation? Or are you looking for more insight in your current situation, your motivation, obstacles and possibilities? AMA coaching will help you to research and realise your wishes and goals. At AMA coaching you or your team are key. Your coaching path will be based on your situation. In an atmosphere of openness, trust, respect, inspiration and possibilities, we will walk the road to your desired situation. On this site you find information about the AMA coaching possibilities. • who is AMA coaching? Inspiration, information and tips can be found on the blog page. Voor vragen kun je een e-mail sturen of het onderstaande contactformulier gebruiken. Deze AMA coaching blog is een pagina waar ik regelmatig informatie, tips, verhalen, denkertjes en andere zaken op zal plaatsen. Laat je gedachten de vrije loop op deze pagina, ik hoop dat de inhoud ervan je zal inspireren. Recent onderzoek van de Baak onder strategische leiders laat een ander, positiever, perspectief zien op de economische crisis. De leiders zien de huidige situatie niet meer als crisis maar als nieuwe werkelijkheid. Focus is nu weer ondernemen met volle kracht vooruit, met sales en innovatie als topprioriteiten. Kostenbesparing en reorganisatie nemens volgens het onderzoek weer af. Volgens Carol Dweck, professor psychologie, zijn mensen groeidenkers of entiteitsdenkers als het gaat over intelligentie en is dit bepaald tijdens de opvoeding. Groeidenkers zien intelligentie niet als een vaststaand gegeven, maar als iets wat zich in de loop van je leven kan ontwikkelen. Zij vinden leren leuk en hierdoor groeien en ontwikkelen ze. Entiteitsdenkers beschouwen intelligentie als een bij de geboorte bepaald gegeven waaraan weinig te veranderen valt. Zij zien de moeilijkheid in iets als een teken van hun intelligentietekort, kiezen daarom makkelijke taken en stagneren in hun ontwikkeling. Leven in het nu. Door aandacht te hebben voor jezelf, je omgeving en wat je doet. Meer ècht te ervaren en je zintuigen te gebruiken. En door niet meer dan nodig te denken over het verleden en de toekomst, meer grip op je gedachten te hebben. Voordeel hiervan is meer rust en minder stress in je leven. Het liefst vermijden we dingen waar we bang voor zijn. Om van je angsten af te komen of deze te reduceren is het vaak beter om ze op te zoeken. Doordat je merkt dat je de angstige situatie aankunt, bouw je zelfvertrouwen en als je deze blijft vermijden versterk je de angst. Soms zijn angsten nuttig als waarschuwing voor gevaar, maar vaak is dit niet het geval en zijn het onnodige blokkades. Relativeer je angst, wat kan er precies gebeuren, hoe erg zou dat zijn en zou je daarmee om kunnen gaan? Kijk naar de voordelen van het overwinnen van je angsten, wat kan dat je opleveren en hoe belangrijk zou dat voor je zijn? Wanneer is het goed om door te zetten en wanneer kun je iets beter loslaten? Belangrijk is hierbij de beïnvloedbaarheid van dingen. Steven R Covey spreekt van de cirkel van betrokkenheid en de cirkel van invloed (zie afbeelding). In de buitenste cirkel bevinden zich dingen die we niet kunnen beïnvloeden/veranderen, zoals gebeurtenissen in de wereld, onze opvoeding, afkomst en het verleden. Je druk maken hierover verandert de gebeurtenis niet en daarom zou je deze zaken kunnen loslaten. In de binnenste cirkel ligt alles wat we wel kunnen beïnvloeden en veranderen, inclusief je eigen reactie op (niet) beïnvloedbare gebeurtenissen. Simpel maar goed model om je betrokkenheid en acties in perspectief te zetten. Het vermogen tot verandering bepaalt het succes van organisaties. Volgens Dr. Ben Tiggelaar, onafhankelijk onderzoeker, schrijver en trainer, is leidinggeven aan gedragsverandering de sleutelfactor bij verandermanagement. Mensen overschatten het vermogen om eigen gedrag te veranderen, hoe moeilijk is het immers om te stoppen met roken? Daarom zouden managers meer kennis moeten hebben over het vergeten vakgebied: de veranderpsychologie. Wat gebeurt er in ons hoofd als we veranderen, wat doen onze hersenen als we nieuwe dingen leren of doen, welke externe elementen hebben invloed op ons brein? Deze inzichten kan een manager uitstekend gebruiken om verandering te managen. Plan jij af en toe denktijd in? Onze dagelijkse bezigheden nemen ons vaak zo in beslag dat we maar doorgaan en geen tijd maken voor reflectie en open denken. Toch kan een kwartiertje open denktijd je veel brengen, zoals relativering, inspiratie, verbinding, nieuwe inzichten, ideeën, oplossingen… Dus zoek soms even de stilte op en bouw wat denktijd in. Hoe verder je naar de kern van dit model gaat, hoe minder je aan iemand kan veranderen. “Persoonlijkheidskenmerken ontwikkelen is mogelijk, maar kost veel tijd en inspanning. Het natuurlijke talent wordt steeds meer onderkend als basismateriaal voor motivatie, ambitie, competentie en prestatie.”, aldus Lidewey van der Sluis. Denk jij in belemmeringen en angsten of in kansen en mogelijkheden? Denken in belemmeringen remt, zorgt voor blokkades en voor het niet zien van kansen. Hierdoor worden stappen voor verbetering, groei en vernieuwing vaak gemist. Gooi het om en ga ook denken in kansen en mogelijkheden. De volgende stap is dan ‘kansdoen’, de kans ook echt grijpen. Inspirerend boek van Rob Adams, strategisch innovator/auteur. Het heet “Ga vreemd!” en gaat over je bedrijf onderscheiden van de concurrenten door branchevreemd te innoveren. Een voorbeeld hiervan is de creatie van de deodorant roller gebaseerd op de imitatie van het systeem van de balpen. Originele insteek voor strategische brainstorms. Netwerken is belangrijk. Obama netwerkte met veel succes tijdens zijn campagne door, via internet, een enorme hoeveelheid vrijwilligers te mobiliseren die face to face promotie voor hem deden. In een onderzoek van Boer & Croon zegt 92 % van 118 ondervraagde bedrijven dat netwerk management essentieel is voor het toekomstige succes van je bedrijf. Zij verhogen efficiëntie, flexibiliteit, kwaliteit en innovatie door netwerken met hun klanten en leveranciers. Netwerken werkt voor bedrijfsontwikkeling, strategische allianties, kennis, sales/marketing, recruitment, het vinden van een baan en sociaal contact. Toch geven velen aan niet (optimaal) te netwerken. gebruik diverse middelen, face to face contact, social media, verwijzingen van anderen, evenementen etc. De trend “het nieuwe werken” staat synoniem voor flexibel werken. Als werknemer meer vrijheid hebben om zelf je werktijden, -duur en -locatie te bepalen en als werkgever flexibel omgaan met personeel en beschikbare middelen. Waar en wanneer krijg jij de meeste en beste ideeën? Iedereen heeft zijn voorkeurssituatie waarin creativiteit en ideeën spontaan opkomen. De een krijgt ze ’s nachts als het stil is, de ander tijdens een wandeling in de storm en weer een ander in de file. Gebruik deze invallen en faciliteer jezelf op dat moment. Zorg voor een kladblokje naast je bed, in je windjack of een voicerecorder in je auto. Dit parkeren van ideeën brengt rust in je hoofd en ruimte voor de dingen die je eigenlijk wilde gaan doen (slapen, ontspannen, autorijden). Het zorgt ervoor dat je geen ideeën hoeft te zoeken op momenten dat deze moeilijk te vinden zijn, maar dat je ze al hebt en dat ze van een goede kwaliteit zijn. Een interactief coachingstraject levert je veel resultaat op. Het brengt verbetering in de diverse facetten van je leven aan waar je langdurig de vruchten van zal kunnen plukken. Het vraagt ook tijd en inzet van jouw kant. Hoe groter je commitment en eigen inzet, des te sneller en beter het resultaat. Buiten de tijdsduur van de coachingssessies, kun je rekenen op benodigde tijd voor persoonlijke activiteiten, zoals eigen opdrachten, onderzoek etc. Wil je meer informatie over de mogelijkheden en de tarieven? Neem dan contact op met AMA coaching, zie de details op de contactpagina van deze site. De op alle diensten van AMA coaching van toepassing zijnde Algemene Voorwaarden vind je hier. Wanneer kies je voor strategie coaching? • Hoe vormen we een strategie en maken we deze concreet? • Hoe willen we dat onze organisatie eruit ziet in de toekomst? • Wat zijn onze doelstellingen? • Wat zijn onze groei- en ontwikkelingsmogelijkheden? • Wat zijn onze sterktes en zwaktes, kansen en bedreigingen? • Hoe positioneren we ons in de markt? • Hoe verhogen we onze resultaten en blijven we financieel gezond? • Hoe verhogen we onze klantgerichtheid? • Hoe zijn we een goede werkgever en bereiken we medewerker tevredenheid? • Hoe organiseren we onze processen optimaal? • Hoe gaan we om met trends en externe factoren? Strategie coaching helpt om te komen tot formulering en uitvoering van een strategie gericht op gewenste organisatiebrede ontwikkeling. Management teams, directies, (senior) managers die stappen willen maken in het ontwikkelen van strategisch beleid en management. Zowel team als individuele coaching. Samen onderzoeken we de huidige en de gewenste situatie van de organisatie. We ontwikkelen een missie, visie, succesfactoren en doelstellingen alsmede een plan van aanpak om de doelstellingen te bereiken. Door evaluatie en actie zorgen we ervoor dat het niet bij mooie woorden en plannen blijft, maar dat het plan van aanpak ook daadwerkelijk uitgevoerd, en waar nodig bijgesteld, wordt. Wanneer kies je voor management coaching? • Hoe kan ik medewerkers motiveren en stimuleren? • Hoe bereik ik de bedrijfsdoelstellingen? • Hoe krijg ik meer regie en word ik niet opgezogen door de waan van de dag? • Hoe bouw ik een (betere relatie met mijn) team? • Hoe kom ik tot efficiëntie en effectiviteit van mezelf en anderen? • Hoe verhoog ik de kwaliteit van prestaties, producten en diensten? • Hoe communiceer ik beter en voorkom ik/handel ik bij conflicten? • Hoe vorm ik een strategie en maak ik deze concreet? • Hoe neem ik de juiste beslissing op het juiste moment? Management coaching is een individueel of team coachingtraject waarin de sterktes en zwaktes van je/jullie managementsituatie duidelijk worden en er door ons samen gewerkt wordt aan concrete verdere ontwikkeling op dit vlak. Management coaching is voor leidinggevenden, coördinatoren en begeleiders die een professionele ontwikkellingslag willen maken in hun management vaardigheden en stijl. Zowel voor individuele managers als voor management teams. Samen krijgen we inzicht in je/jullie managementsituatie, waaronder de persoonlijke management stijl maar ook de omgevingsfactoren. We onderzoeken en formuleren wensen en doelstellingen. Daarna onderzoeken we mogelijkheden en ontwikkelingsgebieden. En we bedenken en ondernemen stappen om van de huidige situatie naar de gewenste situatie te gaan. Wanneer kies je voor loopbaan coaching? • Wat is mijn droombaan en hoe realiseer ik die? • Hoe geef ik mijn carrière de gewenste vorm en richting? • Hoe krijg ik meer professionele uitdaging, afwisseling en verbondenheid? • Wat zijn mijn kwaliteiten, competenties en ontwikkelingsgebieden? • Hoe voorkom of verminder ik werkgerelateerde stress en onzekerheid? • Hoe kan ik mijn netwerk aanleggen, onderhouden, verbeteren en gebruiken? • Hoe presenteer ik mijzelf tijdens werk of sollicitatie? • Wat kan ik doen om meer indruk te maken en invloed te hebben? Werk is belangrijk, je investeert er veel tijd in en wil er graag voldoening en plezier uithalen. Toch vinden veel mensen hun werk niet tevredenstellend, wat mentale of lichamelijke klachten kan veroorzaken. Loopbaan coaching is een individueel coachingstraject dat je helpt te onderzoeken welk soort werk en werkomgeving past bij je kwaliteiten en je passies. Om vervolgens een plan te maken en uit te voeren om je wensen waar te maken. Loopbaan coaching is er voor een ieder die behoefte heeft aan een nieuwe impuls in het profesionele leven. Voor wie door teveel keuzes, obstakels en complexe situaties zelf niet verder komt en hierbij een sparringpartner kan gebruiken. Iemand die graag voldoening en ontwikkeling wil in het (werk)leven en misschien grenzen wil verleggen. Samen onderzoeken we je wensen, drijfveren, kwaliteiten, passie, ontwikkelingsgebieden, mogelijkheden en de arbeidsmarkt. Hiervoor ga ik in gesprek met je, maken we analyses, geef ik je oefeningen, gebruiken we vragenlijsten en testen. Ook brengen we je belemmeringen in kaart en ondernemen we acties om deze te laten verdwijnen. Als we alle informatie en ook de antwoorden op je coachingsvragen hebben, maken we een concreet plan, waarmee je stap voor stap aan je nieuwe professionele koers vormgeeft. 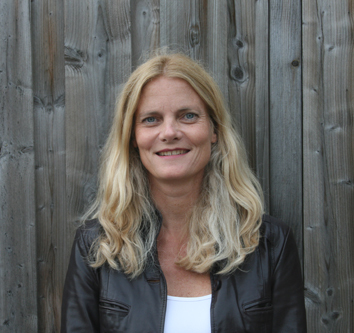 Wanneer kies je voor personal coaching? • Wat zijn mijn kwaliteiten en waar en hoe kan ik mij verder ontwikkelen? • Wat zijn mijn doelstellingen, wat wil ik? • Hoe ga ik beter om met veranderingen en obstakels? • Hoe krijg ik meer grip en hoe kan ik beter loslaten? • Hoe word ik efficiënter en effectiever? • Hoe verhoog ik mijn inspiratie en motivatie? • Hoe vind ik balans en bewaak ik mijn grenzen? • Hoe kan ik effectief netwerken en mijn verbinding met anderen verbeteren? • Hoe kan ik mezelf krachtig presenteren en invloed uitoefenen? • Hoe kom en blijf ik dichter bij mezelf? Personal coaching is een individueel coachingstraject gericht op bewustwording, persoonlijke ontwikkeling en gedragsverandering. Je verkrijgt inzicht in je kwaliteiten, blokkades, patronen, wensen en mogelijkheden en maakt keuzes voor persoonlijke groeiactiviteiten. Het brengt je rust, zekerheid en kracht, zaken die je nodig hebt om je gelukkig te voelen en goed te functioneren, zowel zakelijk als privé. Je krijgt meer regie over je handelen en grip op het leven. Het geeft je meer vrijheid en verbinding met jezelf. Een ieder die kleine en grote wensen/doelen wil realiseren, zowel op het persoonlijke als het zakelijke vlak, kan veel profijt hebben bij personal coaching. Het is er voor wie bewust naar zichzelf en het leven wil kijken en er het beste uit wil halen. Zichzelf wil ontwikkelen, vragen stelt en reflecteert. Bij personal coaching draait het om jou, jij staat centraal. Maar het gaat ook over jouw relatie tot anderen, je werk en andere elementen uit je leven. Samen verkennen we je huidige situatie, formuleren we je persoonlijke wensen/doelen, bedenken en bewandelen we een pad om deze te realiseren. Personal coaching kan diep gaan en soms confronterend zijn. Dit is echter nodig om te komen tot zelfkennis en acceptatie van dat wat er is en om van daaruit te werken aan verandering en ontwikkeling. De persoon achter en oprichter van AMA coaching ben ik, Joke Kok. Kernwoorden waarmee anderen mij omschrijven zijn: open, oprecht, analytisch, vriendelijk, opmerkzaam, empathisch, doelgericht, mensgericht, flexibel, humor, organisatiegericht, gedreven, optimistisch en creatief. Als coach ga ik in een goede sfeer en een veilige omgeving in gesprek met je. Samen onderzoeken we je huidige situatie, je mogelijkheden en je gewenste situatie. Ik luister of lees, stel vragen, geef je ruimte om antwoorden te vinden, spar, structureer, vat samen, daag je uit en houd je een spiegel voor. Ik denk in mogelijkheden en samen vinden we een manier om je doelen en wensen te realiseren. Deze houding heeft mij persoonlijk veel gebracht, zoals werkervaringen in diverse landen, een carrière op management niveau, ruimte voor privéleven, persoonlijke groei, zelfreflectie, voldoening en vrijheid. Ik houd van contact met anderen, diepgang, lol, uitdaging en vooruitgang. Door mijn ruime ervaring en diverse opleidingsactiviteiten op het gebied van coaching, advies, management, strategie, communicatie en human resources, kan ik putten uit de juiste baggage voor mijn diensten. Meer informatie over mijzelf vind je hier. Het beste uit je leven halen. En uit jezelf. Dat wil toch iedereen? Maar hoe doe je dat? Het is niet altijd makkelijk om je weg te vinden, zowel zakelijk als persoonlijk. We hebben een scala aan keuzes en mogelijkheden, maar ook aan obstakels en beperkingen. Communicatiemiddelen zorgen voor snelheid van werken en leven. Multitasking en prestatiemeting leggen de lat en de tijdsdruk hoog. Regelmatig blijven onze vele mogelijkheden onbenut en onze wensen of doelen onvervuld. En dat is nu precies waar AMA coaching je bij kan helpen. AMA coaching is een flexibele praktijk voor personal, loopbaan, management en strategie coaching. Flexibel door de vele mogelijkheden (bijvoorbeeld coaching per gesprek, telefonisch, email) en de situationele manier van individuele of team coaching. Lees meer over de 4 soorten coaching op de betreffende pagina’s op deze site. Het woord AMA betekent ‘Hou van!’ en ‘kracht’. AMA is ook de naam van Japanse parelduiksters die zonder perslucht en andere hulpmiddelen parels opduiken uit de oceaan. Ga jij vanuit liefde voor jezelf en je omgeving, je kracht gebruiken om je eigen ‘parels’ op te duiken? Of de ‘parels’ van je organisatie? AMA coaching helpt je hier graag bij. AMA coaching is een praktijk voor personal, loopbaan, management en strategie coaching. Zowel bedrijven als particulieren kunnen bij AMA coaching terecht voor gespreks-, e-mail en telefonische coaching. AMA coaching biedt individuele en team coaching aan in de Nederlandse en de Engelse taal. Wil je op persoonlijk of professioneel vlak iets veranderen of verbeteren? Of wil je meer inzicht in je huidige situatie, drijfveren, obstakels en mogelijkheden? AMA coaching helpt je om je wensen en doelen te onderzoeken en te realiseren. Bij AMA coaching sta jij of je team centraal. Je coachingstraject wordt gebaseerd op jouw of je team’s situatie. In een sfeer van openheid, vertrouwen, respect, inspiratie en mogelijkheden, bewandelen we de weg naar je gewenste situatie. Op deze site vind je informatie over de AMA coaching mogelijkheden. • wie is AMA coaching? Inspiratie, informatie en tips vind je op de blog pagina.